Member Firms will have access to ClickSafety’s complete and ongoing course library of over 300 interactive training courses as well as the 8-Hour Hazwoper Refresher Course and the OSHA 10-Hour Construction Safety Certificate Course. ClickSafety offers one of the most comprehensive online safety course catalogs available, from general employee safety awareness to advanced training for specialized workers. Their courses were developed by on-staff Certified Safety Professionals (CSP) and Certified Industrial Hygienists (CIH) to ensure all safety courses meet the latest safety standards and regulations. Management benefits from employee tracking and record keeping database and can generate reports on this data to provide to corporate post accident training can be assigned immediately as a step to prevent reoccurrence. It is easy to use; (member firms only) log on to www.clicksafety.com/SMACNA and get started. To see all the programs that ClickSafety offers, see their Course Catalog. First Time Users will need to contact Bay Area SMACNA to obtain an authorization code. Call (510) 635-8212 or email npirrone@bayareasmacna.org. The Bay Area SMACNA Chapter will reimburse Member Firms for CPR and First-Aid Training and Certification. Minimum class size is 14 students or $840 per class. Member Firms (upon completion of the course) will receive $60 reimbursement for each SMWIA Local 104 Member, Manager, and Office Personnel who attend the training. Students will learn CPR and Emergency Cardiac Care, bleeding control, burns, shock, poisoning, hot and cold extremes, fractures, seizures, diabetic emergencies, insect bites and other life-threatening emergencies. CPR and First-Aid Cards will be valid for 2 years. This five hour class can be held at The Member Firm for groups of 14 or more (provided there is room to accommodate employees and a TV/DVD are available) or at the Bay Area SMACNA Training Room in Oakland. For more information, or to request CPR and First Aid Training, contact Bay Area SMACNA at 510-635-8212 or e-mail info@bayareasmacna.org. In this comprehensive one-day course, participants will learn how to establish an “in-house” forklift training program. The course focuses on the OSHA training regulations, how they affect your company and how to comply with the new standards. At the end of the course, the participant will have the tools and knowledge to return to work and establish an “in-house” training program that is specific to their company’s operation and equipment types, while meeting OSHA requirements. The class includes full training curriculum and a CD, DVD for training others in Straight Mast and Rough Terrain (telescoping boom) Forklifts. The Train the Trainer Certification is valid for five (5) years. Member Firms interested in Forklift Training should contact Bay Area SMACNA at (510) 635-8212 or info@bayareasmacna.org. Through the Qualified Rigger and Signal Person Training, students will learn the basics of crane operations. Students will be educated on the basics of crane safety, including how to safely use slings, hitches and basic rigging equipment. Students will also be taught the hand and voice commands associated with crane signals. Fed OSHA 1926.1400, Cal OSHA 4999 Qualified Rigger standards & Fed OSHA 1910.184 - 1926.251 are covered along with practical demonstrations of site inspection crane signals and rigging applications. Students learn competent person knowledge of how to safely plan a crane project, basic rigging equipment used on crane s and how sto signal a crane properly with hand or voice commands. New, electrical power line clearances, proximity zones, tag-line rules, crane set-up and critical life operations are also taught. Students will receive a "Qualified Rigger and Signal Person" wallet card upon successful completion of the course. The card will be good for 5 years. 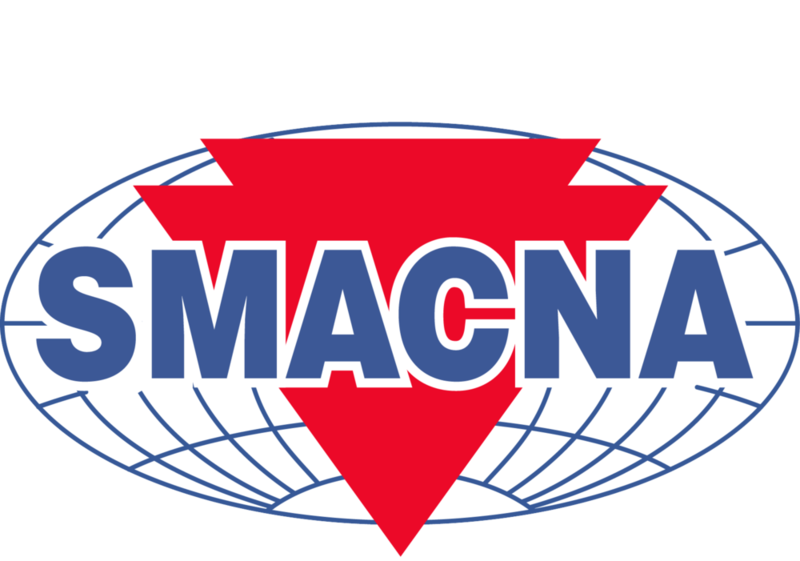 Member Firms interested in Qualified Rigger and Signal Person Training should all Bay Area SMACNA at 510-635-8212 or e-mail info@bayareasmacna.org.